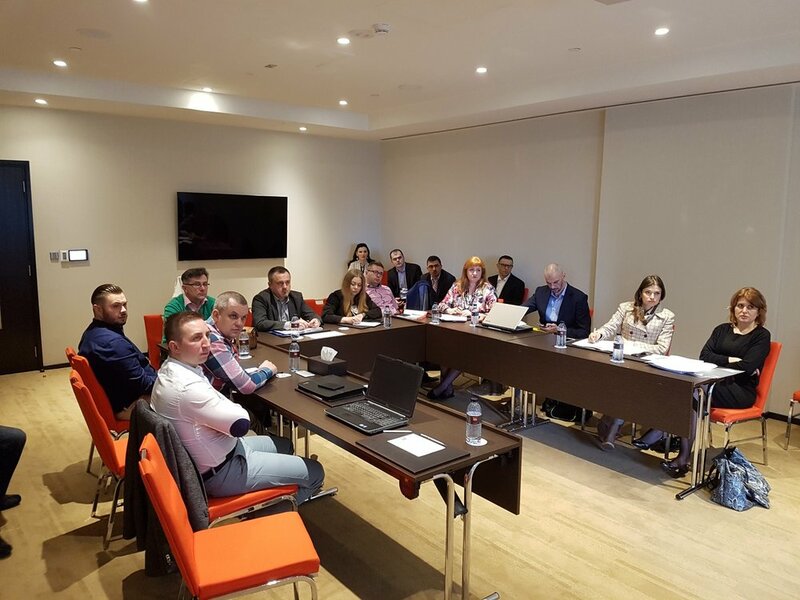 From February 25th to March 2nd, REG is assisting a group of 15 Balkan agro-food companies visiting GulFood Trade fair in Dubai, including 2 from Macedonia, 4 from Serbia, 7 from Bosnia and Herzegovina (led by the Foreign Trade Chamber of Bosnia and Herzegovina and USAID Farma II Project) as well as 2 companies from Kosovo (supported by USAID EMPOWER Project). REG engaged a senior consultant in Dubai to provide introductory training on understanding the trade structure and route to market in the UAE region. He presented in detail several strategic models for companies to choose from when developing market entry strategies, also presented product categories and key players. In the next days, companies will be facilitated to have prearranged meetings with some matching importing and trading companies like EuroBakan General Trading LLC, Imagine Trading, Al Islami, Richmond Enterprise as well as retailers - Farm Fresh (for fruit & vegetables), VIVA and Kibson. Companies will participate at the GulFood Breakfast Briefing at Dubai Chamber and take a tour to visit the Fruit & Vegetable Market in Dubai. Last years’ experience and initial success of several companies encouraged their interest to participate at GulFood as exhibitors. Companies showed commitment to having a joint Balkan stand. Hence, selected companies will have a meeting with the Dubai World Trade Center GulFood Management to discuss possibilities for securing exhibition space for next year. REGs assistance will help companies to optimize their visit to GulFood, provide in-depth understanding on what is required to export to Dubai, product details that need to be fulfilled, packaging, local representation to be able to trade within the region and provide viable contacts with potential buyers and/or distributors.